NYSID Staff Donates to Wear Denim on “Jeans Friday” - New York State Industries for the Disabled, Inc.
Each Friday, NYSID employees who would like to wear jeans to work pay a dollar which is then donated to a charitable foundation related to our mission of "advancing employment and other opportunities for individuals with disabilities.” This past quarter (May-August), the Museum of disABILITY History located in Buffalo, NY was the surprise recipient of our $240.00 donation. The Museum of disABILITY History is dedicated to advancing the understanding, acceptance and independence of people with disabilities. 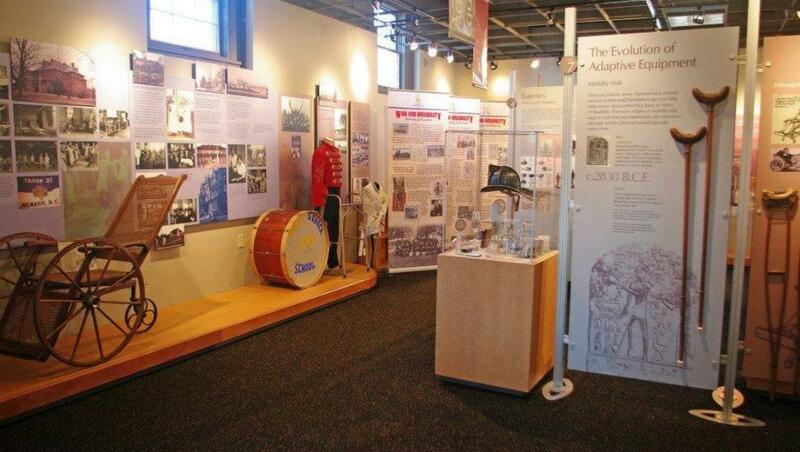 Its exhibits, collections, archives and educational programs create awareness and a platform for dialogue and discovery. The museum is a project of NYSID member agency People Inc. and is chartered by the New York State Department of Education Board of Regents. People Inc.’s mission is to create support for individuals with disabling conditions or other special needs in order for them to have the resources they need to participate and succeed in an accepting society. Since introducing “Jeans Friday”, NYSID has donated more than $2,500.00 to several organizations across the state, including: American Red Cross, American Heart Association, Stride Adaptive Sports, St. Baldrick’s Foundation, and the Ronald McDonald House of Albany, to name a few. “Thank you so much for your recent donation to our museum, “said David Mack-Hardiman, Associate Vice President of the Museum of disABILITY History. “Your generosity will help us keep our museum alive!